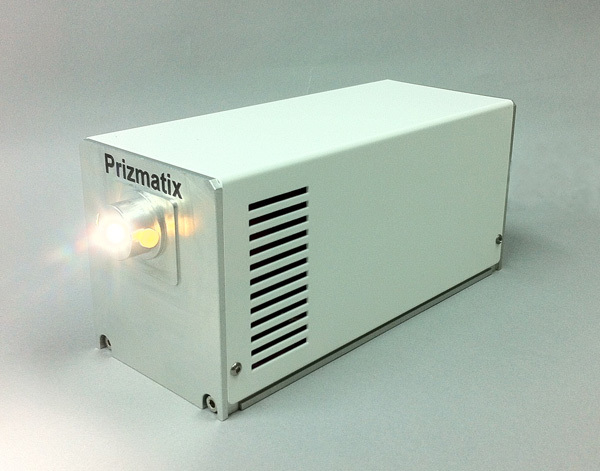 Prizmatix UHP-F-LED series of Ultra High Power LED (up to 70Watt) light-guide coupled light sources was designed especially for microscopy and OEM illumination applications in life science instrumentation, machine vision, confocal microscopy and many others. The UHP-F-LED housing is self-contained liquid lightguide LED source including all necessary driver electronics and thermal management, no special controller box is required to operate the module if used at maximum power. The device features opto-isolated TTL and Analog input for convenient control of fast pulsing (strobe applications) and output power. The device has I2C input for easy power control (12 Bit DAC) from microcontroller. The catalytic oxidation of CO to CO2 allows for the removal of poisonous CO to improve indoor and outdoor air quality. Currently, industrial CO oxidation catalysts are not effective at low temperatures. A group of the most promising choices, Au catalysts supported on Mg(OH)2 and MgO, are highly active even at -70 oC, but show decreased activity between 20 oC and 100 oC. These catalysts also have short lifetimes. Here, we utilize knowledge of plasmonic catalysis in the study of the reaction over plasmonic Au catalysts. We hypothesized that light interacting with catalysts via surface plasmon resonances has the potential to dramatically improve such catalytic reactions. Initial experiments demonstrated a significant improvement of the catalytic activity and lifetime under light. The Power LLG3 is total power emitted from 3 mm core Liquid Light-guide (Prizmatix P/N: LLG-3) connected to the UHP-F-LED. The Power LLG5 is total power emitted from 5 mm core Liquid Light-guide (Prizmatix P/N: LLG-5) connected to the UHP-F-LED. LLG Port is designed for Prizmatix standard light-guides. LLG port and mounting options may vary according to customer's specifications. Ultra-High Power LED for 3mm light-guide (LLG-3) for microscopy and various illumination applications. Compatible only with Prizmatix LLG-3 (not included), see below. Ultra-High Power LED for 5mm light-guide (LLG-5) for microscopy and various illumination applications. Compatible only with Prizmatix LLG-5 (not included), see below. 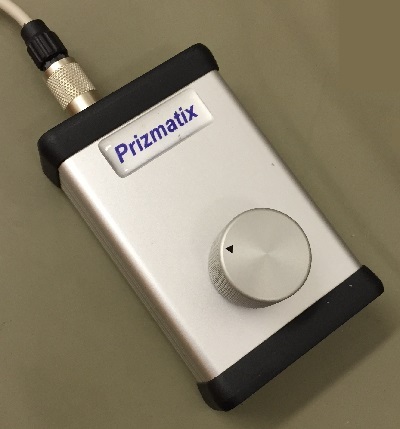 Prizmatix Light-guide. Core diameter 3mm. 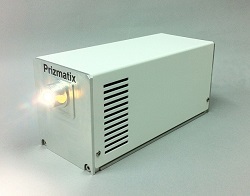 Prizmatix Light-guide. Core diameter 5mm. Optional wired remote control unit for manual control of the UHP-F illuminator. Collimator for 3mm core liquid light-guide (LLG-3). 1 inch output. No XY adjustment. Collimator for 5mm core liquid light-guide (LLG-5). 1 inch output. No XY adjustment. Collimator with XYZ adjustment for LLG-3 light-guide. Collimator with XYZ adjustment for LLG-5 light-guide.